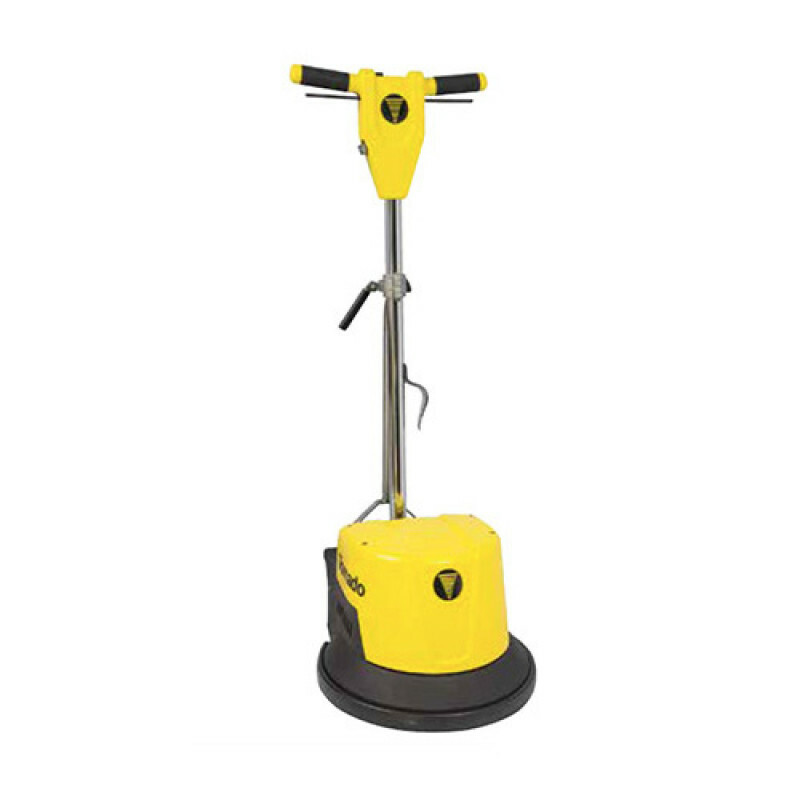 This rugged 20 inch Tornado 'Brute Force' floor buffer operates at 175 RPM with a heavy-duty 1.5 HP motor. 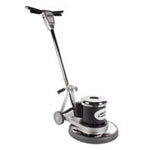 It is intended for use in the U.S., and uses standard 115 volt power. The patented rotationally-molded housing and high-torque motor make this machine perfect for heavy-duty use. The perfect blend of power and performance result in less physical exertion and vibrations associated with normal floor machine operations. A one-piece base and motor housing ensure that wires and capacitors are completely enclosed, enhancing the machine's durability, longevity and safety. A variety of floor buffer pads, brushes & sanding discs can be attached to the pad holder that comes with the machine. This machine ships for free to any continental U.S. address. If it does meet your specific needs, please feel free to take a look at our full line of 20 inch floor buffers. Motor runs cool for longer life. Triple planetary all steel gears. Tilt up position allows easy access for pad changing. Can be fitted with pads for multiple tasks. Optional solution tank allows easy solution dispensing.